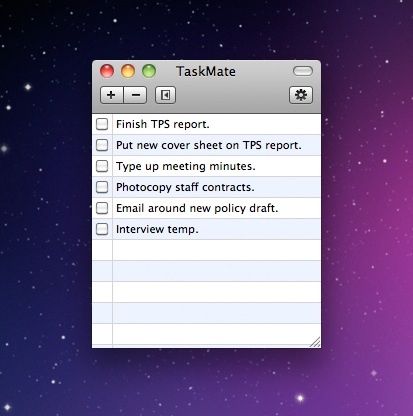 Just click to add, remove or complete tasks. 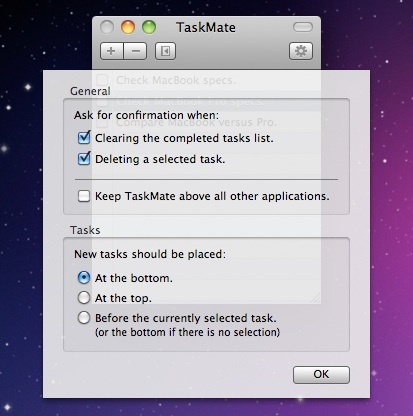 Your completed tasks are easily accessible. 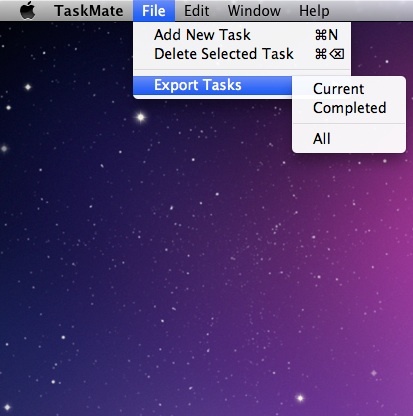 Export your tasks to other applications via TextEdit. 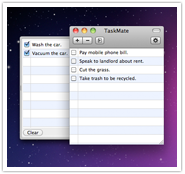 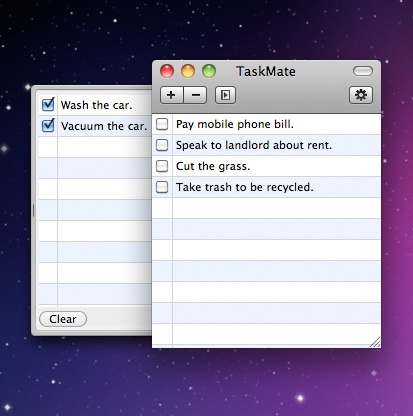 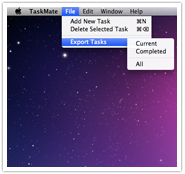 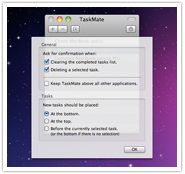 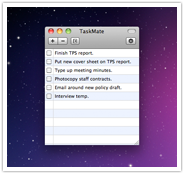 TaskMate is Freeware, but if you enjoy using it, why not donate using PayPal?